If you have children and are going through a divorce, it is absolutely critical to have a skilled family law attorney on your side throughout the process. Family law differs significantly from such areas as criminal law, real estate law, or corporate law, and a family law attorney will be able to help negotiate child custody, spousal support, military divorces, and a range of other issues that can arise in divorce cases. Additionally, family law differs between each area of the country. During a divorce, you will need legal support from an expert with extensive experience navigating your state’s legal system. For individuals in the San Antonio area, the team at the Law Offices of Steven C. Benke can guide you through this challenging time. The family law attorneys at the firm of Steven C. Benke are especially skilled when it comes to handling child custody cases and the associated issues, such as grandparents’ rights, visitation rights, and child support payments. Our legal team can provide both legal support for a court declaration of custody or mediate between spouses for a private decision. Most importantly, our legal team will stand behind you down the road, helping to enforce any decisions made at the time of the divorce, whatever the concern. If child support isn’t being paid or the rules of visitation are being ignored, the team at Steven C. Benke can help you move through the legal process for getting such situations corrected. Another critical area that a good family law attorney will be skilled in complex property division. Your attorney will help you decide on a fair division of possessions contingent on the financial situation of yourself and your spouse. The Steven C. Benke legal team offers years of legal experience in this arena, helping to reach an equitable division that meets each person’s needs as closely as possible. 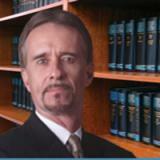 If you are going through a divorce, contact the Law Offices of Steven C. Benke today for a free consultation. We can help you determine what your legal rights are and guide you through the divorce process, backed by years of family law experience.